When chatting about interior design, most elements revolve around our sense of sight. Although hearing—music and water features—and touch—textured fabrics and hide rugs—may come into play, taste and smell are typically overlooked. However, when you think about it, chances are that your favorite room evokes positive emotions by appealing to one or more of the five senses: sight, hearing, taste, smell or touch.Keeping these senses in mind can be easy and affordable when designing a space. Simply think of them as “the details” of a room—details that can be included in the smallest of spaces or make the scale of a large room feel more approachable. Keep these five senses in mind when designing a room and you will find it to feel more personal. Here are some tricks for designing your next project with these five senses in mind. Mix and Match: If there’s anything that designers like Ralph Lauren and Lilly Pulitzer have taught us, it is to mix patterns, textures and colors. You can create a visual masterpiece with several different elements. The mix will provide interest and reflect your personal style. Room with a View: Arrange your furnishings to capture a view. A window overlooking a yard can be considered artwork. Position the furniture to highlight the sights outside or a beautiful element inside the room, such as a fireplace or painting. Music to my Ears: Nothing creates an experience like the perfect music paired with a beautiful space. Music apps make it easy to download appropriate playlists to complement your interior or entertaining style. River Runs through It: When placing furniture, keep in mind window proximity. Easy access to calming sounds from outside can really improve a space or muffle nearby noise. When landscaping, include a water element; small fountains are easy to incorporate and will create a soothing sound you can enjoy inside and out. Color Splash: Appeal to the sense of taste with appetite-inducing palettes. 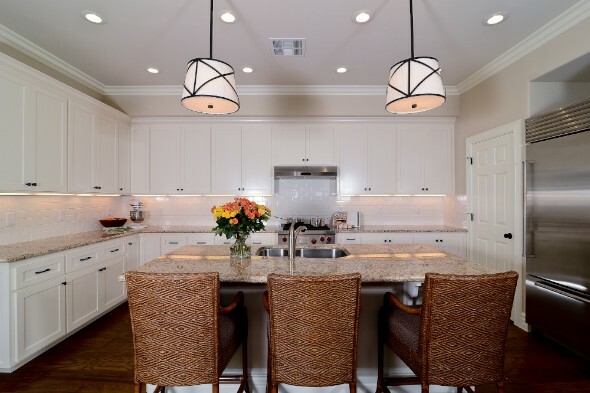 Red or orange tones in the kitchen or dining spaces can do just the trick. Thoughtful Details: Make room for dining accessories via open shelving. Keep plates or flatware in full view, arranged artfully in curated pieces. This look is not to be confused with cluttered countertops. Keep arrangements neat and provide a fresh look by including fruit. Outside-In: Fresh-cut flowers or fragrant plants, like lavender, can easily be included in small doses in any room. For the kitchen area, consider fragrant herbs like basil, rosemary and mint. Ambiance Plus: Adding a subtly fragrant candle to a space can create a mood and provide added sensuous to a room. Consider fresh lemon scents for kitchens, English tea for sitting spaces and a fragrance-free version where eating occurs in dining spaces. 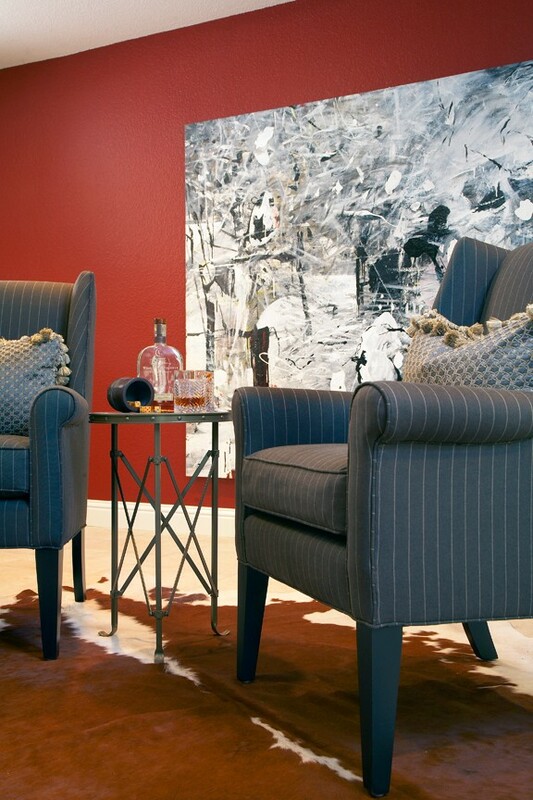 Textured Timelessness: Take in your space and see if there’s a small area that can be textured. 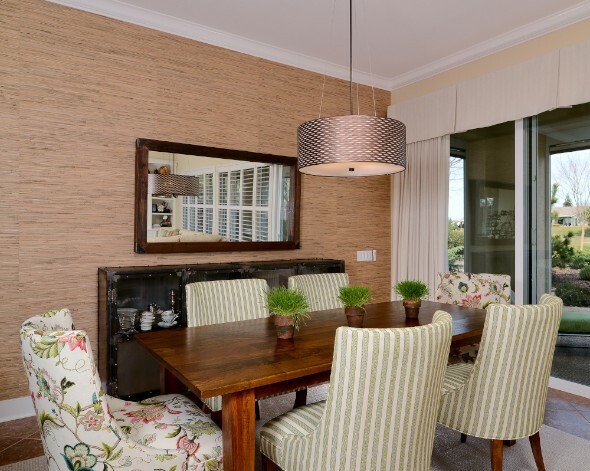 Adding tile or a seagrass wallcovering can enhance the textural experience of a room. Use materials that are curious to the eye and interesting to the touch. Material Mix: Contrast textures in a living area. Consider sofas and chairs that are soft to the touch and comforting to sit on. Soft fabrics like cotton, silk velvet and brushed linen provide layers of textures. Add reclaimed tables and nubby rugs that spark your interest and make you want to touch each piece.